Polar white plastic cable hatchs holds 15 and 30 amp cords. 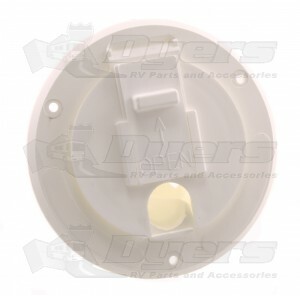 This hatch is made of durable polypropylene for lasting use. Available in white and colonial white with no metal parts to rust or corrode. They make a cost effective option to replacing hatches. Great replacement for the one I snapped while unhooking in below freezing temperatures.